A Canoe Trip through the spectacular Whanganui National is a great way to unwind away from the pressures of everyday life. Just imagine a holiday away from it all, no cell phones, no television, no shops, no traffic. Just you and your partner, an open Canadian canoe, a few books maybe, and some friends to share in this unique experience. 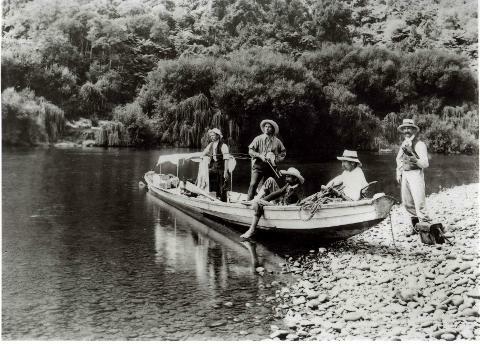 The most popular journey is the five day Whanganui experience. A vast portion of the stretch we cover is almost inaccessible from land. This is the type of adventure that all New Zealanders and visitors alike should experience at least once in their life. Words alone cannot describe its special magic. This is our most popular trip—if you want a real holiday away from the TV and phone then this is it. If you have children then this is an ideal option. There are 2 different starting points for the 5 day depending on river levels—Ohinepane or Whakahoro. 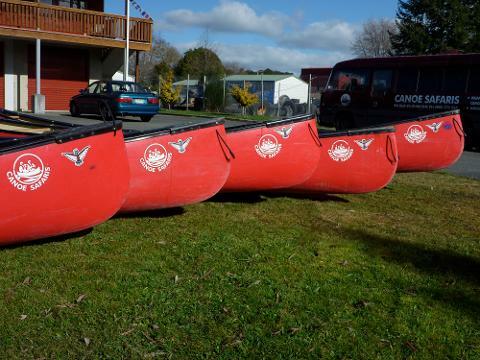 We often meet clients at our base in Ohakune the night before the trip to check river gear and allow you to meet the guides. We have 6 Motel units at our base and plenty of safe off street parking, so once you arrive it's very quick and easy to get packed for the trip. 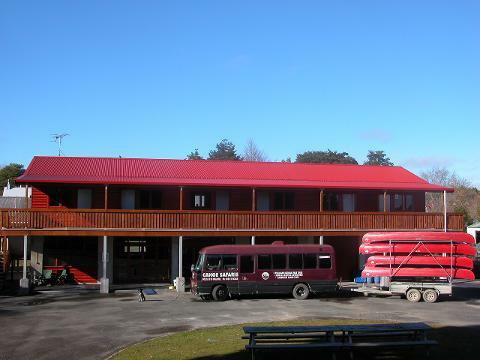 Most of our guests stay at our lodge accommodation in Ohakune the night before the trip and the night after the trio. This makes for an easy start and allows guests plenty of time to pack/stuff all their gear into their river barrels.